It is good to purchase aluminum fences because they beautify the home quickly and give your landscape additional value. The other reason for purchasing aluminum products is because they are more affordable when compared to Vinyl and also have better appearance. They come in various colors that can match your home’s design. From industrial to residential fences, you can purchase products of aluminum to suit your needs. People purchase aluminum to enclose the swimming pool, protect pets and children and to secure the property. You can buy aluminum which fit your personality and style. Below is a short list of materials made of aluminum. These products are manufactured to replicate the traditional country wood fence with pickets. If you want to purchase aluminum, this option should be on your list. Each year, there are so many issues of drowning because parents do not block the entrance of the pool safely for infants and children. Having peace of mind by buying regulating pool fences is necessary. These ones are aluminum types found in malls, public areas, and restaurants which require secure and strong aluminum fences and gates. 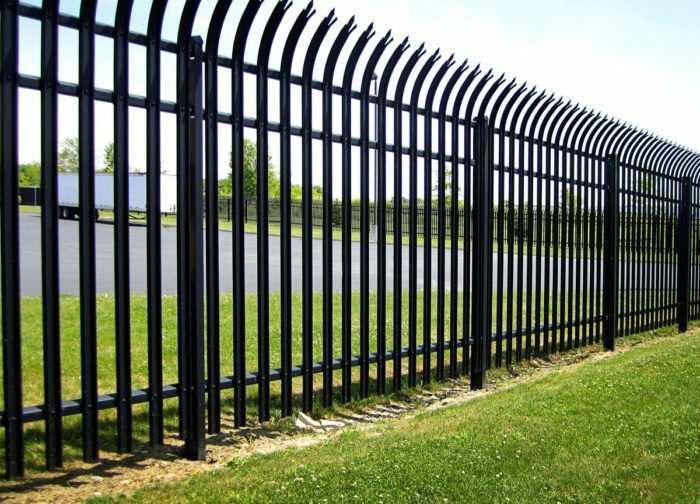 In case you desire purchasing aluminum that allows more sunlight to penetrate, you need to try the aluminum chain fence. They are very strong, durable, and can handle tough elements of weather. They are resistant to wind and are referred to as hurricane fences. Aluminum is great for extreme climatic conditions. This makes them the best choice in so many communities. Aluminum fences bought from South Florida Contracting Services do not rust like iron and will not enlarge like wood. It is a populous fencing type around swimming pools all over the country. Products of aluminum fences have natural powder coatings that help in protecting paint. It is strong and you do not need to get worried of repainting it at all times like wood. The other reason to purchase is because it is more affordable that steel and wood. Additionally, its durability makes it more affordable than vinyl with years. DIY buyers love facts which are quite easy to install. This material is among those materials which are recycled most around the world. It is not necessary to chop trees down or utilize materials that are not green friendly. If you purchase aluminum fences, you are assisting in nature protection, and you are friendly to the environment. These fences have low maintenance related cost and work. For many people, it is a fixture of see it and forget it. There is nothing as bad as purchasing something that necessitate constant tweaking and repairs. Therefore, many people prefer buying aluminum fences over the others. In traditional wrought, aluminum fences are very populous. They come with picket points according to the desired of the customer. Evenly placed picket points, staggered picket points, smooth edged pickets, pointed pickets are the choices that are available to clients. In case you are not fond of the jutting picket points, there are those styles which run the top rail on the pickets to enclose them. You will get the chance of enclosed pickets or enclosed and exposed pickets without exposed points.